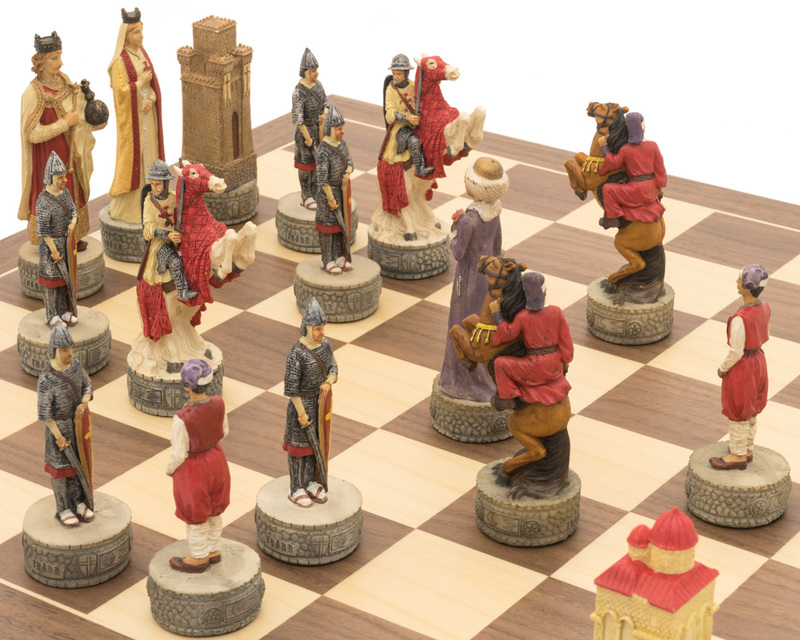 Chessmen sculpted from resin and hand-painted. 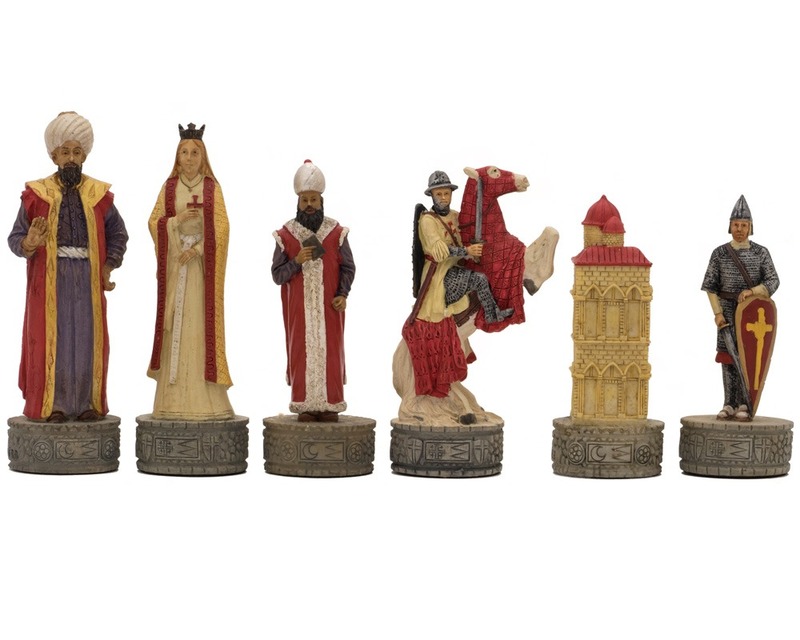 Intricately detailed Crusades themed set. 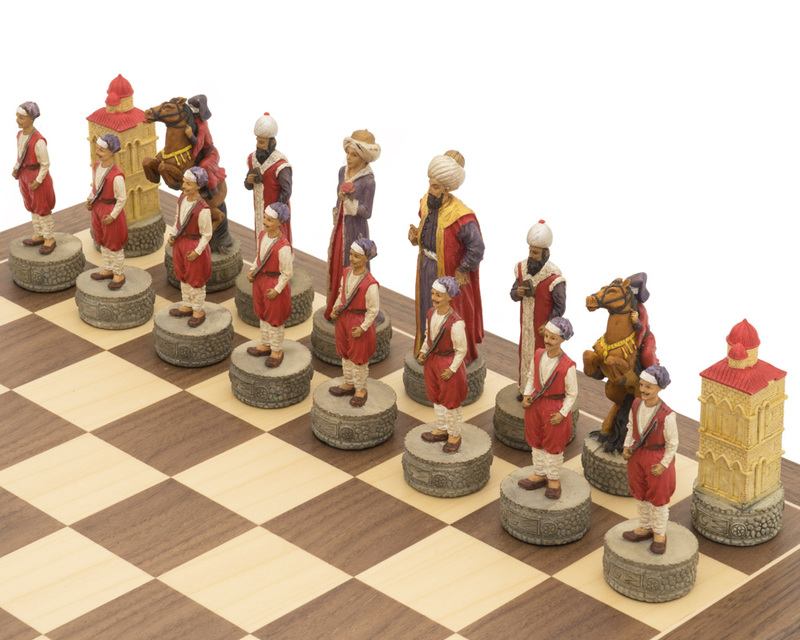 Detailed Crusaders and Turkish chess armies. 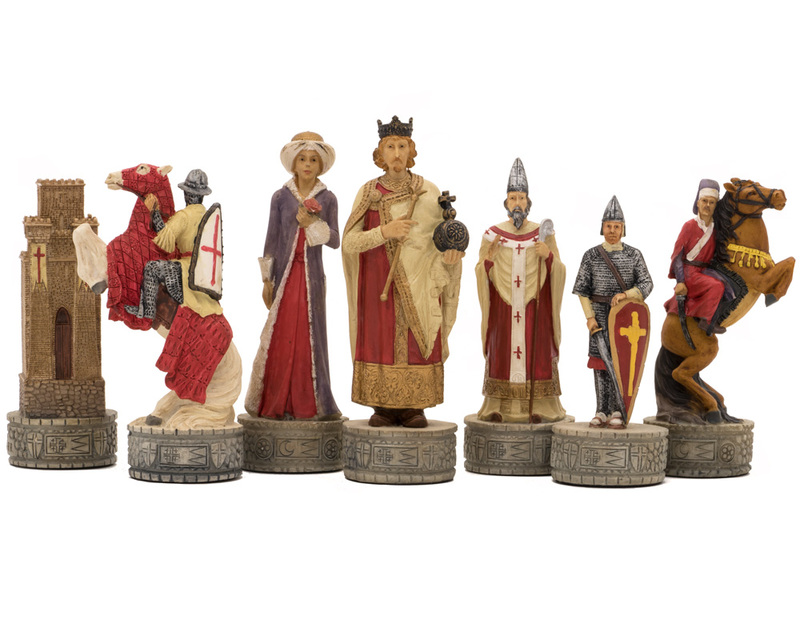 A beautiful and highly detailed Crusades themed chess set crafted in Florence, Italy. One of the most fascinating eras of world history has to be the holy crusades in the Middle Eastern Holy Land during the middle ages. Norman Christians from Western Europe rode out on military crusades (holy wars) to reclaim the holy land at Jerusalem. 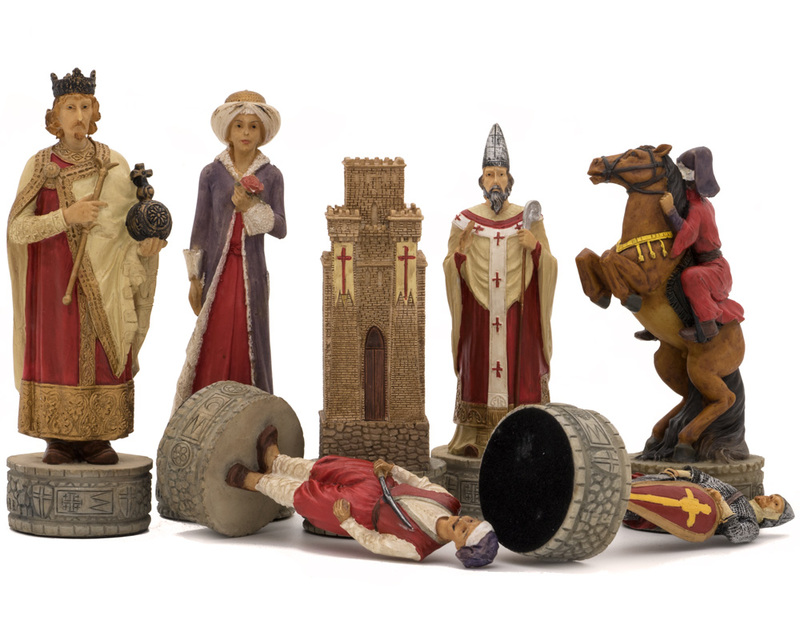 Along with pious pilgrims who made the incredibly long and dangerous journey to the land of their religion, the holy knights waged fierce and bloody battles with the Turkish armies. 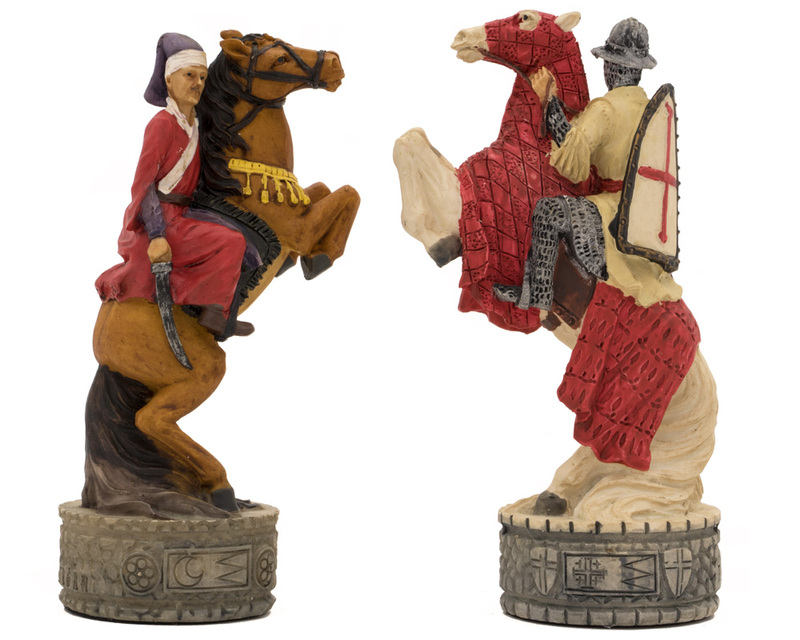 The masterful chess craftsmen at Italfama in Florence, Italy have created these two incredible historical chess armies, beautifully cast from detailed resin moulds and hand-painted to give the level of detail and finish expected from the very best historical miniatures. 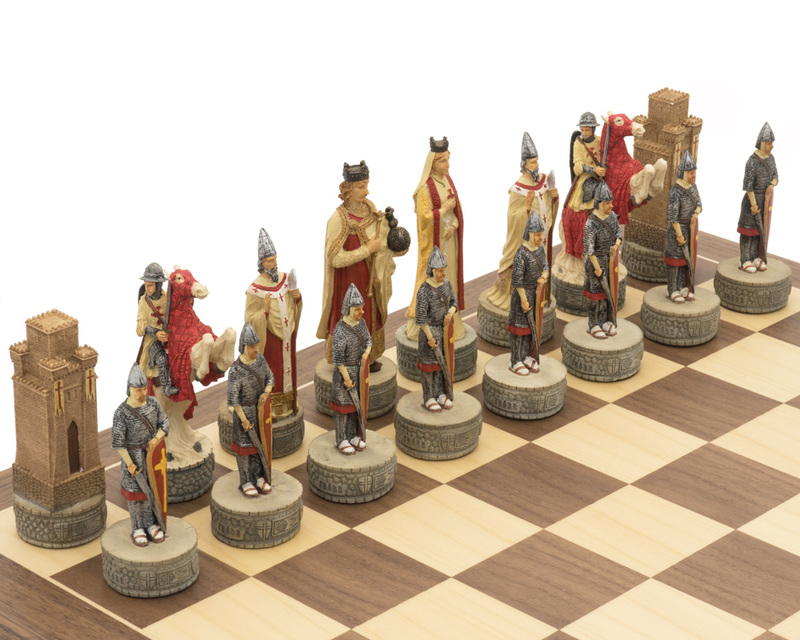 This set is sure to be a hit with any fans of history, theology and of course chess!